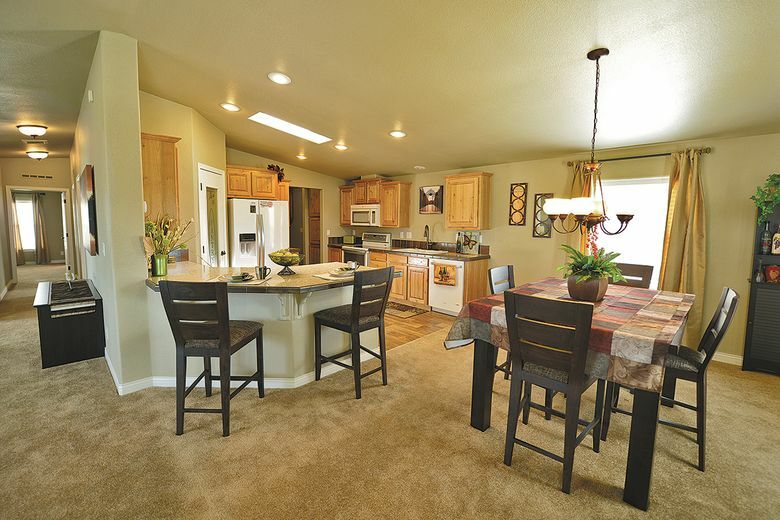 Six home designs at Quail Run range in size from 1,200 to 2,100 square feet and are designed for residents ages 55 and older. Quail Run attracts buyers with its invigorating sunshine 300-plus days a year and a plateau location that offers views of nearby Yakima. YAKIMA — Debbie and Jim LeDahl know their homebuying research. After three years of touring places to live after retirement, their choice became clear: The two are pulling up their West Seattle roots and moving east to a new home in Quail Run at Terrace Heights — a gated community with 117 homesites for active homebuyers ages 55 and older. “We first found Quail Run online and really liked it, but just to make sure we looked at another place, and then a second place, and after that another place and then even a fourth one, all on this (west) side of the mountains — and we’d still keep going back to Quail Run,” recalls Debbie LeDahl. About a 2.5-hour drive from Seattle, Quail Run attracts buyers with its invigorating sunshine 300-plus days a year and 10-minute commutes to most banking, medical and shopping needs. Its plateau location offers views of nearby Yakima, as well as the city lights of historic Union Gap and snow-crested Mount Adams. There are 117 homesites at Quail Run. 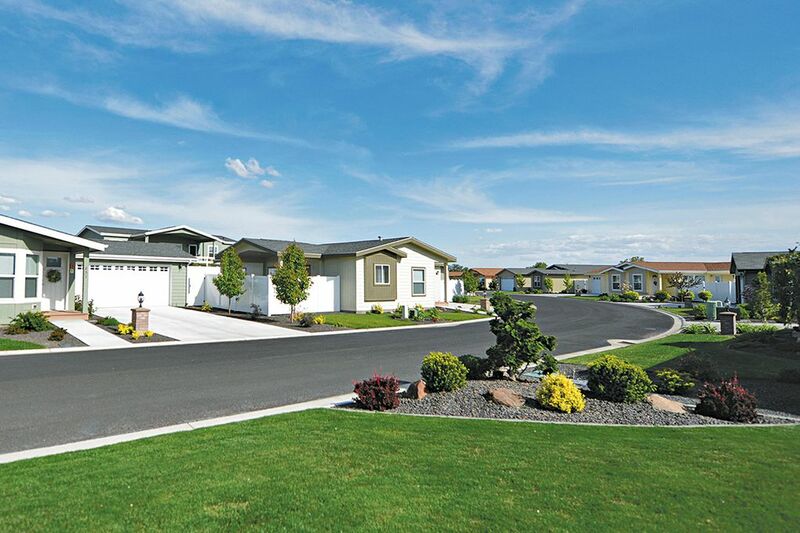 The yards are landscaped for minimal maintenance and include sprinkler systems. “Our home has the best to offer us for what we wanted,” Debbie says. “It’s ADA-accessible and the doorways are perfect because I’m in a wheelchair. It has just enough landscaping and a fenced backyard so it’s perfect for our little guy — a Shih Tzu-poodle mix. And we’re going to turn one of the bedrooms into a ‘man cave’ for my husband. “Dollar-wise, it’s cheaper, too,” she adds. Pricing at Quail Run remains attractive by Western Washington comparisons, explains sales manager and on-site broker Pat Loomis. Yakima has fewer of Seattle’s fees, fines and taxes, he says. And Quail Run’s taxes are lower because sale of a home doesn’t include the homesite — only the finished home and customizable improvements. A monthly owner’s fee covers use of the community center, sewer, garbage and professional on-site management. Personal property taxes are paid on the home only. Move-in and customizable Quail Run selections include two bathrooms; attractive interior amenities; and low-maintenance landscaping packages with sprinkler systems. Vinyl-fenced rear yards with covered patios welcome homeowners’ pets. Finished two-car garages — with three-vehicle designs optional — are also included in the sales package offered by Lakeshore Home Sales LLC. Homeowners also enjoy Quail Run’s climate-controlled community center, with billiards, library and card room, and entertainment space with a kitchen. Outdoors, sunset views frame the patio, spa and swimming pool. Beyond Quail Run, residents can explore area restaurants and wineries, hike nearby trails, play golf, and shop in Yakima’s bustling downtown. Prospective buyers who want a preview of all that Quail Run has to offer are invited to call or email Loomis for a link to an exclusive video sneak-peak of the community and its homes.